This kettlebell system from Stamina is great for anyone who wants to workout with weights, but doesn’t have the room for a whole mess of workout equipment. This one kettlebell comes with six weight levels in four pound differences that will allow you to customize the exact amount of weight that you want to work with. So even if you have a few people in your family that want to use these, they are quite easy to adjust. Even teenagers who are lifting for the first time can get into using these. The cast iron handle provides you with the steady grip you need to be able to grasp it with one or two hands depending on the type of weight lifting you are doing. It has a simple locking pin mechanism so you can alternate between, 16, 20, 24, 28, 32, or 36 pounds respectively. You can also do off the floor push ups by holding on to this secure Versa-Bell so that you get that extra burn in your arms. Planks can be performed with these too for the ultimate core workout. 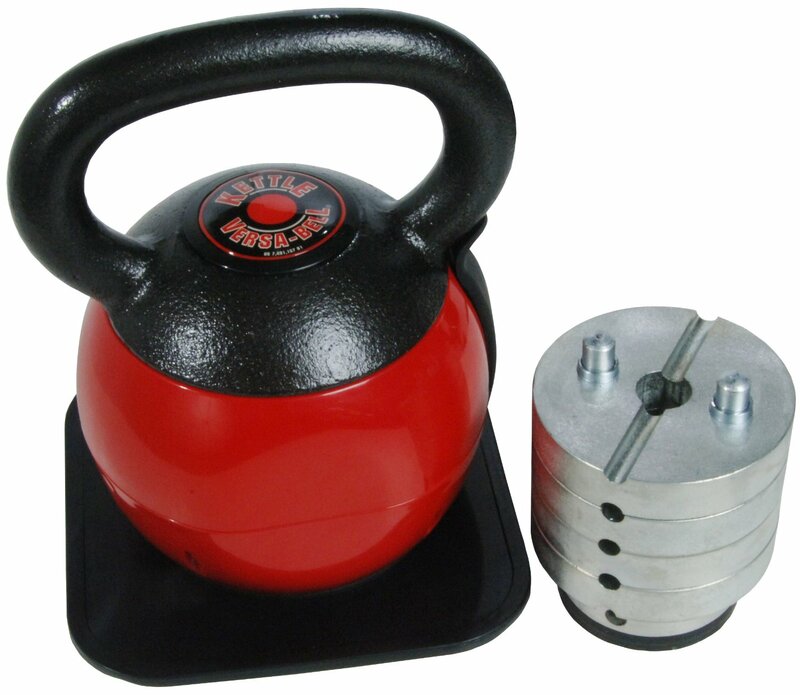 So if you are limited on space, and want a multi-purpose type of kettlebell, you should invest in this piece of equipment. There are also books available that will detail specific kettlebell workouts that will go very well with this product.